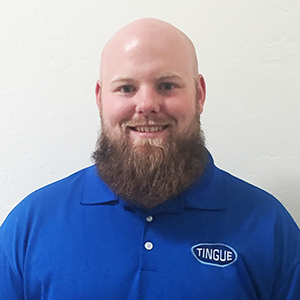 Team Tingue includes a group of more than 30 field sales representatives offering premium quality laundry supplies, machine parts and installation services to laundries throughout North America. According to Twarek, the company's recent product introductions called Black Knight belting and its companion Mato Lacing have garnered highly positive response. “Everyone who has switched to the Mato Lacing loves it – it makes life easier and lasts a long time,” says Twarek. “It's very gratifying to show a customer a better way and then see how it saves money and keeps the machines going strong.” Twarek resides in Buckeye, AZ with his wife and two daughters.